111 buyers have shortlisted this project. Apartments starting from Rs.73.14 Lacs. Adhiraj Samyama Tower 1 B is a 55 storied Under Construction Project and the location is Sector 36, Kharghar and is developed by Adhiraj Constructions Pvt. Ltd. Adhiraj Samyama Tower 1 B was launched in Mar 2012 and the possession of the same is likely to be in Dec 2019. Adhiraj Samyama Tower 1 B is RERA approved has the Registration Number bearing P52000004493. Adhiraj Samyama Tower 1 B is tagged as RERA Approved / RERA Approved / RERA Approved / RERA Approved. Adhiraj Constructions Pvt. Ltd also has other under construction and ready possession and sold out projects like Mangium, Magnolia, Aspen, Cypress Aqua , Adhiraj Samyama Tower 1 B, Zinnia, Adhiraj Samyama Phase II. 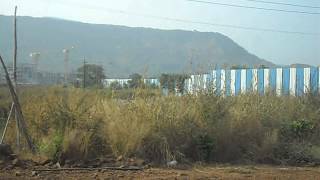 The property prices in Kharghar are in the range of 6900 to 9500 for Outright for ready and under construction projects. Adhiraj Constructions Pvt. Ltd currently has 3 Under Construction projects. Adhiraj Samyama Tower 1 B has good reviews and the ratings of this project are approximately 4 out of 5. You can download the brochure of Adhiraj Samyama Tower 1 B and you can see the latest digital pictures, Floor Plans, Location Plans & Rate History on our website. The Bookings for the Under Construction project Adhiraj Samyama Tower 1 B are open and we can set up a Site Visit any time at your Convenience. Adhiraj Samyama Tower 1 B is approved by most of the Banks and for more details on the approved bank list, please connect with us. This project offers 1, 2 BHK apartments,good investment buy, there are various payment schemes. 564 sq.ft. Carpet - Base Price ₹ 84.88 Lacs. 486 sq.ft. Carpet - Base Price ₹ 73.14 Lacs. 790 sq.ft. Carpet - Base Price ₹ 1.19 Crs. 817 sq.ft. Carpet - Base Price ₹ 1.23 Crs. 867 sq.ft. Carpet - Base Price ₹ 1.3 Crs. 899 sq.ft. Carpet - Base Price ₹ 1.35 Crs. Adhiraj Samyama Tower 1 B details were updated in Nov 2018. Established in 1995, Adhiraj constructions has a mission to create dynamic, self-sustaining spaces that make investors feel a sense of pride and enhanced lifestyle. The company has successfully built a code of conduct that applies intelligence and technology in building homes and townships which grow in personal and financial value.Adhiraj prides itself on its thoughtful approach to real estate development and the rigour it applies to designing, planning and execution. We are known to deliver high quality residences and as a result it attracts premium to its projects. Thriving on team effort, we create urban gated communities that understand needs of contemporary home owners in crowded cities.Adhiraj has a land bank of over 300 acres and has planned future projects in Navi Mumbai, Karjat, NCR and Goa. Adhiraj Samyama Tower 1 B - Adhiraj Constructions Pvt. Ltd Approved by the following Banks in Mumbai, Thane and Navi Mumbai. Click on the link below to download a Printable Adhiraj Samyama Tower 1 B Project Brochure.